Karen’s Killer Fixin’s **AUTHOR SPECIAL** with AVA MILES! Welcome to my Friday bonus feature called Karen’s Killer Fixin’s **Author Special**!! Today, in lieu of one of my own recipes, I’m going to introduce you to a new author who will share one of her favorite recipes. Not only will you and I occasionally learn how to make something new and delicious, but we’ll get a chance to check out some wonderful authors. Introducing author, AVA MILES, and her favorite recipe for GINGERBREAD WAFFLES! USA Today Bestselling Author Ava Miles burst onto the contemporary romance scene after receiving Nora Roberts’ blessing for her use of Ms. Roberts’ name in her debut novel, NORA ROBERTS LAND, which kicked off The Dare Valley Series and brought praise from reviewers and readers alike. Much to Ava’s delight, USA Today Contributor Becky Lower selected it as one of the Best Books of the Year. Ava continued The Dare Valley Series in FRENCH ROAST, which Tome Tender says “raised the entertainment bar again” and then THE GRAND OPENING, which reviewer Mary J. Gramlich says “is a continuation of love, family, and relationships.” The next books in the series, THE HOLIDAY SERENADE, was met with high praise and her ode to the early 1960s, THE TOWN SQUARE, what she calls Mad Men in a small town with a happy ending, melted reader’s hearts. Ava based her original series on a family newspaper, modeled after her own. Her great-great grandfather won it in a poker game in 1892, so Ava is no stranger to adventurous men and models her heroes after men like that—or like Tim McGraw, her favorite country music singer. Now Ava shares the Dare River series, set in the deep South, telling the story of a country singer and a beautiful cook. 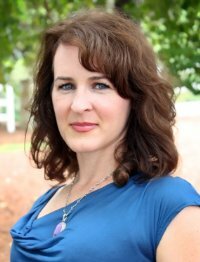 A former chef herself, Ava used her culinary background to infuse the story with family and personal recipes, but she also used her love for music to write country music songs to set the stage in the novel, creating a unique book experience. Ava—a writer since childhood—now lives in her own porch-swinging-friendly community with an old-fashioned Main Street lined with small businesses. P.S. We’re at 131 recipes and counting with this posting. Hope you find some recipes you like. If this is your first visit, please check out past blogs for more Killer Fixin’s. In the right hand column menu, you can even look up past recipes by type. i.e. Desserts, Breads, Beef, Chicken, Soups, Author Specials, etc. So, hi there! I’m Ava Miles, the new contemporary romance writer who burst onto the scene with her book NORA ROBERTS LAND, which kicked off my acclaimed Dare Valley series. Now, I’m delighted to announce the first book in a connected series called Dare River, set in the deep South, titled COUNTRY HEAVEN. Thanks to Karen for hosting me! This story is pretty special to me since it combines my love for food (former chef here) and my love for country music, specifically Tim McGraw, Carrie Underwood, and the hit TV series, Nashville. COUNTRY HEAVEN is about a down-on-her luck cook who uses food’s magical properties to tame a beastly country singer after he hires her under false pretenses to restore his image. My hero, Rye Crenshaw, is larger than life, a mega country star and a total bad boy. And his heroine is so the girl-next-door. I don’t know what it is about breakfast, but starting off the day right with a good one gives me a better attitude. Granted, my grandma raised me to never leave the house without breakfast. Eggs, pancakes, and waffles were routinely on the table when I came downstairs before leaving for school. I once commented that I wished we could have gingerbread more often one Christmas since I loved my grandma’s Gingerbread men, so she found this recipe. These waffles always make me happy. They’re a special treat—like unwrapping presents on Christmas morning. Cook in a waffle iron for 4-6 minutes until golden brown. Serve with a lemon sauce or maple syrup. Well, now, what could be better than a book with a steamy country singer bad-boy, the girl-next-door, and cookbook entries that features recipes like gingerbread waffles? And let me tell you, these are delicious. I have lots of requests for these from the family. So, tell me, what’s your ultimate breakfast delight? We’re talking, what would you love to eat if a private chef like Tory cooked you breakfast every morning like she does steamy Rye? Come on, I want to hear. 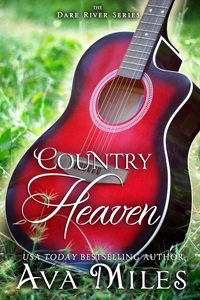 **SPECIAL ANNOUNCEMENT: Ava will give away one ebook copy of COUNTRY HEAVEN to one lucky reader who comments on her Karen’s Killer Fixin’s blog!! Don’t miss this chance to read this novel!! Thanks, Ava, for sharing your release and your fabulous waffle recipe with us! These sound delicious. I am going to have to try them. Thanks for the recipe.